So it's that time of year again. It's starting to get a little colder out. The Halloween decorations start getting put away and people start getting ready for Christmas. It's that little holiday in between that is one of my favorites, Thanksgiving. 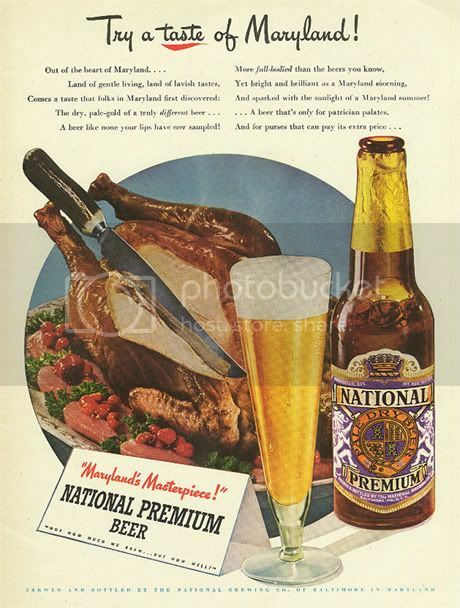 I've been getting people asking me lately what beer I will have with my Thanksgiving dinner. It would probably have to be a couple different beers since it is an all day event. Pre-dinner/Early football games: I'd probably start off with something light. I'd probably pick up a nice pilsner like Victory's Prima Pils or possibly a nice pale ale like something along the lines of Dale's Pale Ale. This will get your ready for the main course ahead. Dinner: With my Thanksgiving dinner we'll be having a good bit of fruit sprinkled in the meal so I'll want something to help bring those out a little more. I will probably treat myself to a saison for this. Ommegang Hennepin or Saison Dupont would probably be two of my choices for the main course. Saisons can be a bit funky so if they are something you aren't used to you might want to have a pale ale like Sierra Nevada Pale Ale or an amber like Stone Levitation. You could also go with something to compliment the carmelization on the turkey skin. A Belgian strong ale, like a Chimay Grande Reserve(Blue), would do a good choice with it's malty-ness and fruit overtones. Dessert: Depending on what you are having for dessert would help dictate the beer but you can never go wrong with a stout. A good coffee or chocolate stout always work out well. My choice for the occasion will be Brooklyn's Black Chocolate Stout. With it's great sweet taste it will go well with any dessert. If you are a fan of pumpkin pie I would suggest pairing it with Weyerbacher's Imperial Pumpkin Ale. Don't be scared off by the imperial part, it's not as strong in taste as you might be thinking. My best suggestion is to drink something you enjoy for Thanksgiving. Whatever you feel is good is the right selection for you. Enjoy and have a great Thanksgiving. The content is too short but effective. I love the information you share here. Its an well written blog post by you. This is awesome blog post.